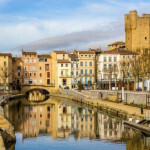 Combine the iconic, tree-lined Canal du Midi, including legendary Carcassonne, with the splendour of the Canal de la Robine. 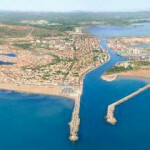 This lesser-known canal meanders lazily through vast lakes and nature reserves towards the Mediterranean coast. After your arrival in pretty Trèbes and, after settling into your boat, discover the beautiful oak beams and sculpted figures of the 13th century church nearby. beginning your Midi adventure. 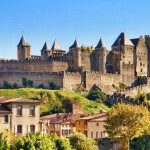 Take a short taxi ride to the ancient Cathar stronghold of Carcassonne for a tour of the city walls and 12th Century Chateau. Enjoy lunch among the bustling cobbled streets within the city walls and then head back to your boat and begin your peaceful cruise eastwards. Explore the leafy trails of Le Redorte before lunch at the elegant Chateau. Then it’s time for a spot of wine-tasting at the Ventenac Minervois Cave Cooperative…and a chance to stock up for the rest of your journey, of course! In Le Somail, wander among the crammed bookshelves of Madam Gourgue’s Antiquarian Bookshop where you’ll find everything from cheap paperbacks to very rare editions. After lunch, head into the countryside for a tour around the Olive Groves of L’Oulibo. 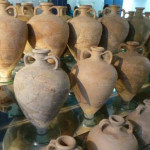 Visit the fascinating Amphoralis gallo-roman potters’ Museum, the site of a 1st – 3rd century Roman Potter factory that has recently been uncovered. 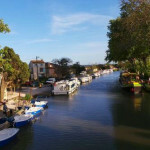 Spend the afternoon cruising along the pretty Canal de la Robine towards Narbonne. A walk around Narbonne takes you through 2500 years of history, including the very grand Archbishop’s Palace and cloisters and the remarkable Gothic cathedral. In the afternoon, as you head south towards the Mediterranean coast, the scenery changes and the canal leads you among a vast network of lakes. Take a morning stroll around the bustling fishing port of Port-la-Nouvelle or along the vast sandy beaches nearby, before heading back to Narbonne. 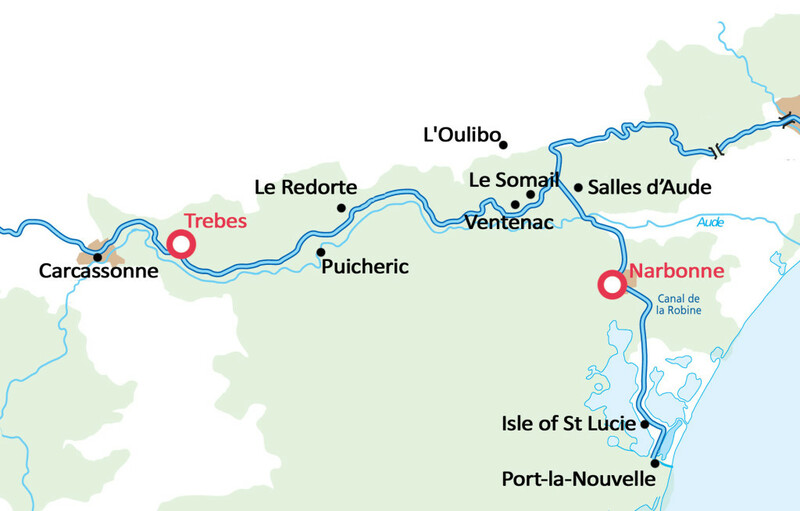 On the way, stop for a walk around the Isle of Sainte-Lucie, a nature reserve of exceptional beauty. The day finishes back in Narbonne for a final farewell dinner – bon appétit! need to be booked in advance. All meals, entry fees and tour tariffs are payable at your own expense. Book a Midi cruise now and save!